Large baskets by lock charge make device deployments faster and safer. 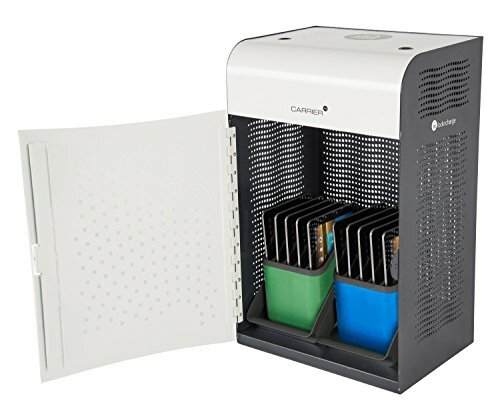 The carrier 10 charging station charges, stores and secures up to 10 devices in a wall or desk mountable cabinet. Designed to work with baskets by lock charge, the charging station allows users to easily deploy devices and share devices between multiple classrooms. If you have any questions about this product by LocknCharge, contact us by completing and submitting the form below. If you are looking for a specif part number, please include it with your message.